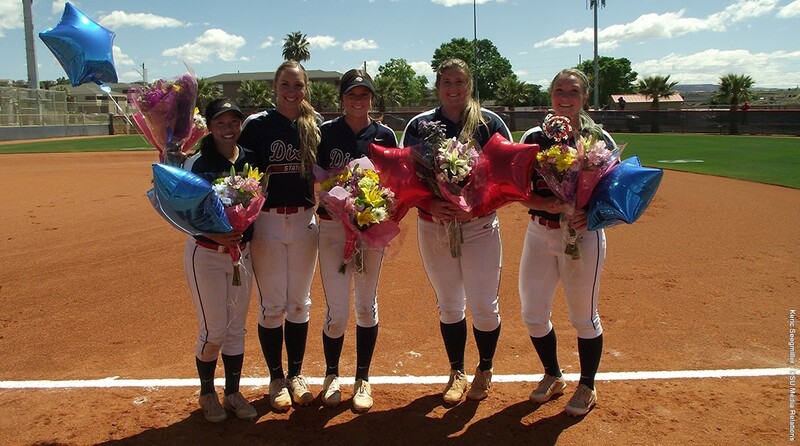 ST. GEORGE – The Dixie State softball team said goodbye to its five seniors in style Saturday afternoon, sweeping Academy of Art with two mercy-rule wins. All five seniors have been starters for multiple years. Three have been here for all four years. The other two seniors, Arista Honey and Shelby Yung, are transfers. All five have been major cogs in the Blazer machine this year. The Trailblazers scored 15 runs in the first three innings, then had to get through two more to get the win. Beardshear pitched three innings to get the win. 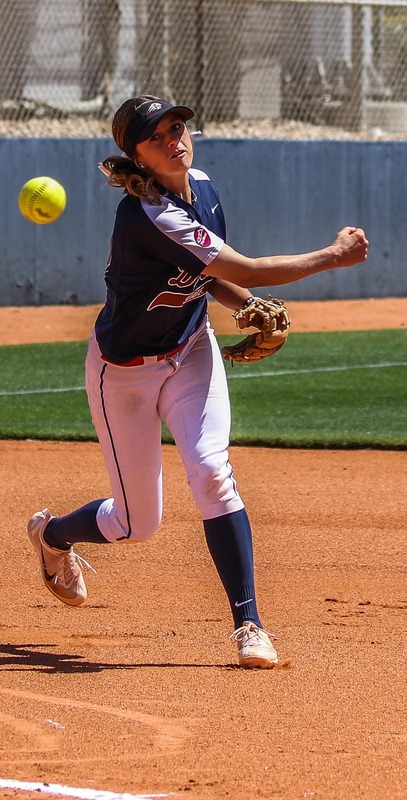 She combined with Alexandria Melendez for a five-hitter. DSU only had eight hits, but got 13 more base runners on walks. It did not take long for the seniors to make noise on Senior Day. Paulson hit a grand slam for the first four runs of the game. The grand slam was followed up by a two-run double by Hartman. Hartman later scored on a wild pitch to give the Blazers a 7-0 lead after one inning. In the second inning, Honey was the third senior to bat in a run when she singled in Kenzie Sawyer for the first run of the second inning. Dani Bartholf later singled to left field to score Paulson and the Blazers took a 9-0 lead to the third. In the third inning, Yung became the last senior to bat in a run with a fielder’s choice that scored Hartman. Beardshear would be the only senior to not get an RBI because she did not get an at-bat. 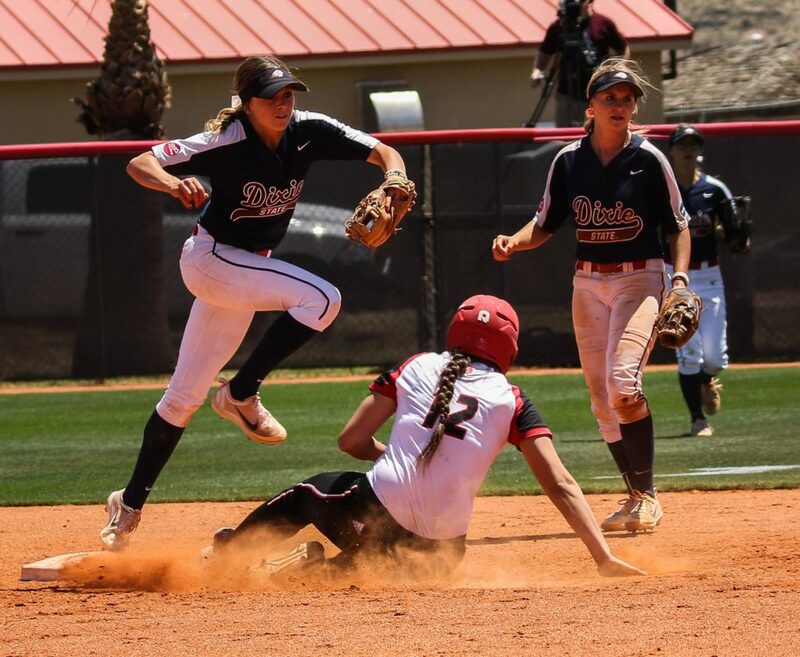 Beardshear began her DSU career playing third base and playing as the designated hitter. 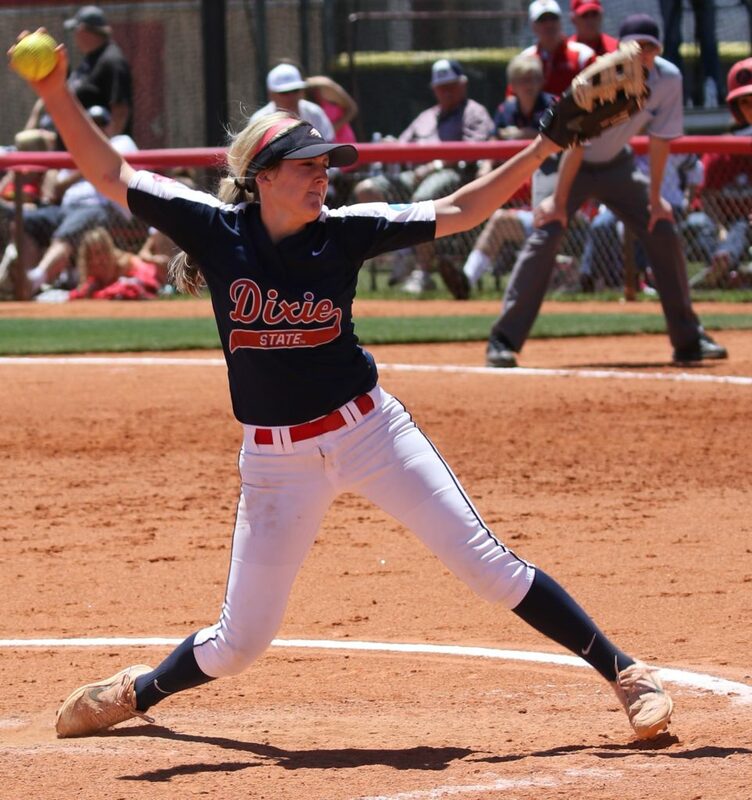 Last year she began to pitch, but still batted when she was not pitching. 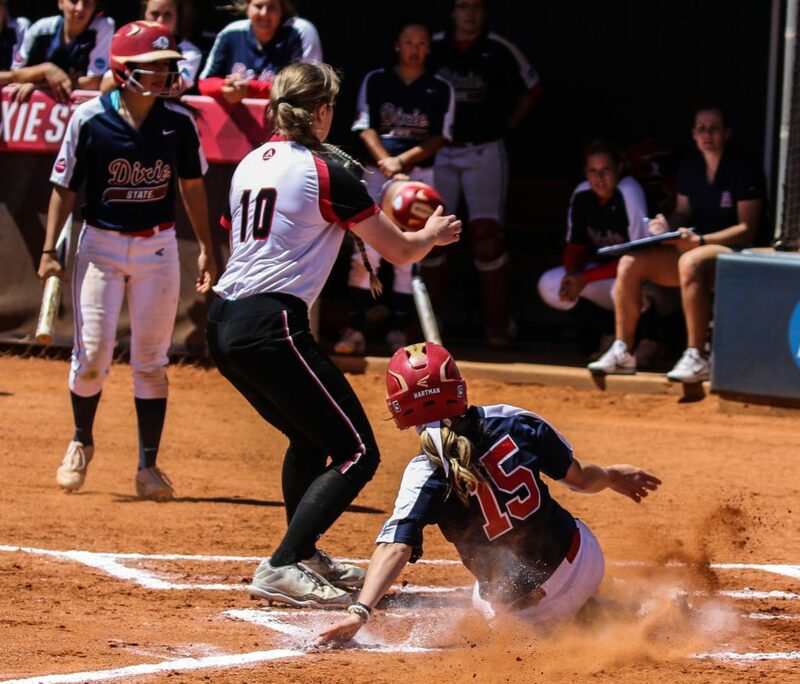 Her plea for an at-bat on Senior Day went unheeded by Coach Simkins. Taylor Godfrey singled in Brenna Hinck to put the Blazers up 11-0. And the coup de grâce came two batters later when Riley Tyteca took one deep to right field to score DSU’s second grand slam of the game. 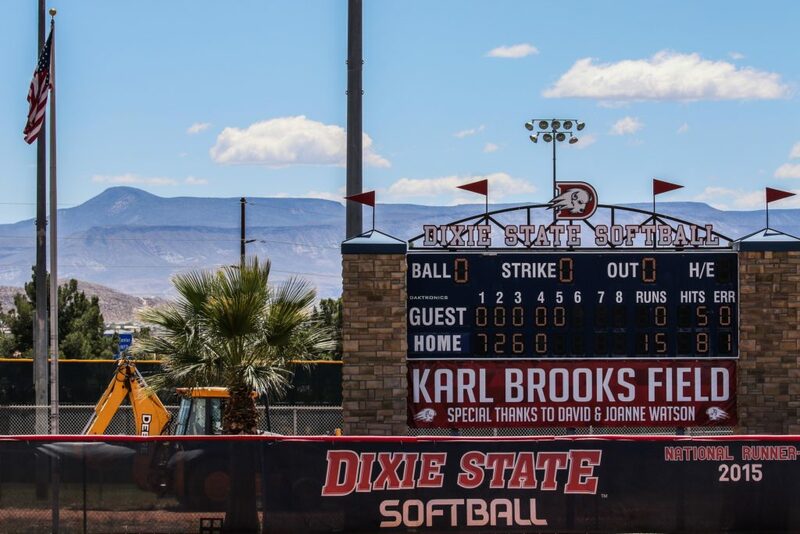 In the second game, it was again all Dixie State through the first four innings. Beardshear again got the start and the win, this time combining with Alexis Barkwell for another five hitter. Beardshear improved to 17-6 on the year with the two wins. The Blazers collected 13 hits with four players (Janessa Bassett, Yung, Honey and Hartman) all collecting multiple hits. The scoring started with a sacrifice fly by Bailey Gaffin to score Bassett. Later in the inning, Honey singled to right center field to score Yung. 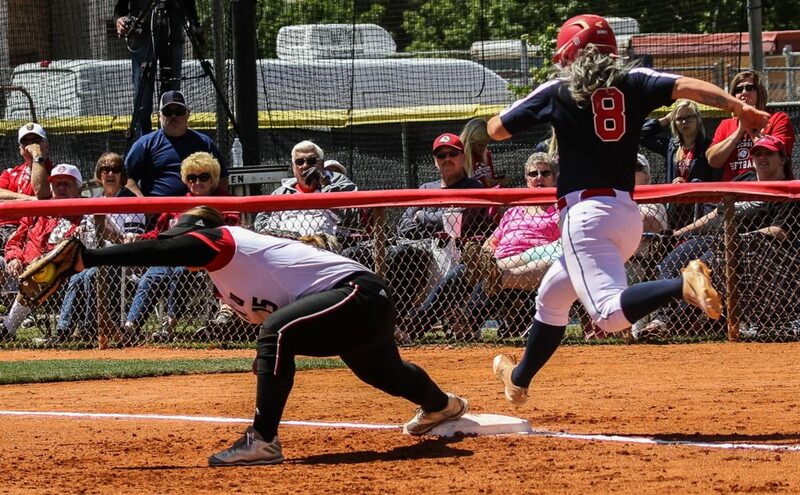 In the second inning, DSU doubled its lead when Gaffin hit a two-run shot to right field. 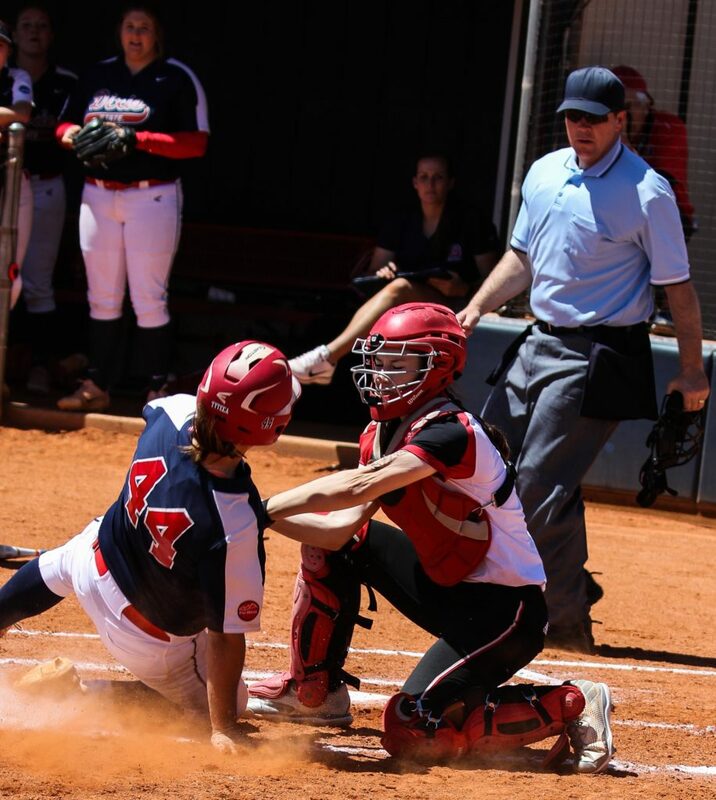 The score remained 4-0 till the fourth when DSU would put up nine runs. Hartman began the fourth with a single up the middle. Bassett then reached on a well-laid bunt to put runners at first and second. Gaffin then drew a walk to load the bases. Yung then singled through the right side to score two runs. 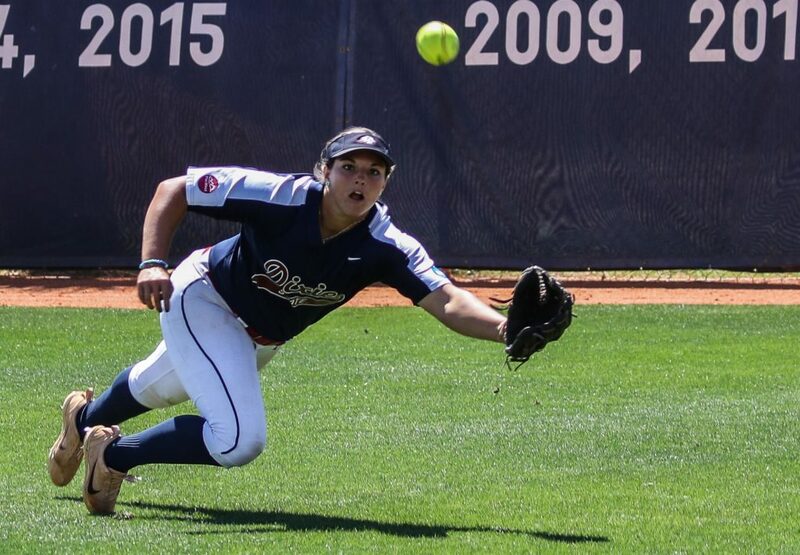 After a pop out and a pick off for two outs, Paulson walked, then stole second, putting runners at second and third. Honey then hit a two-run double to right center. 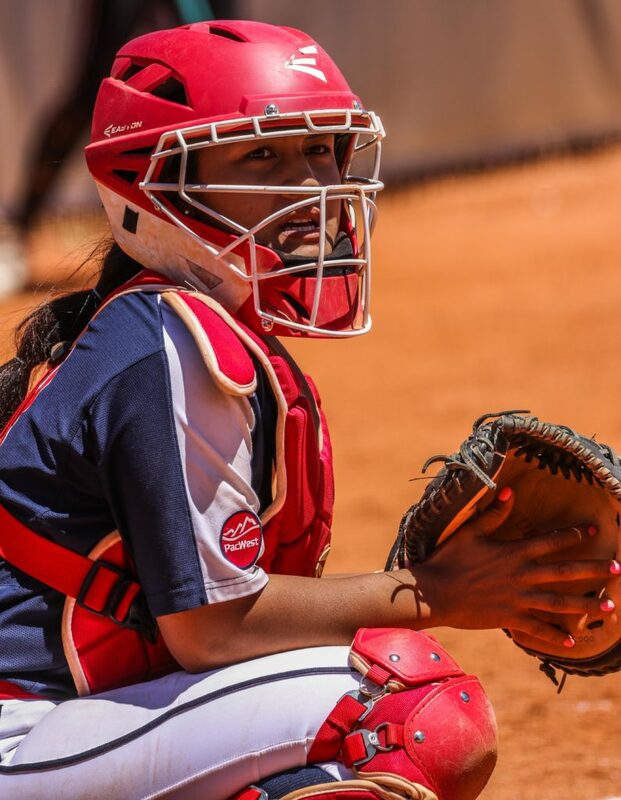 Jessica Gonzalez then singled to left field to score the final run of the inning. 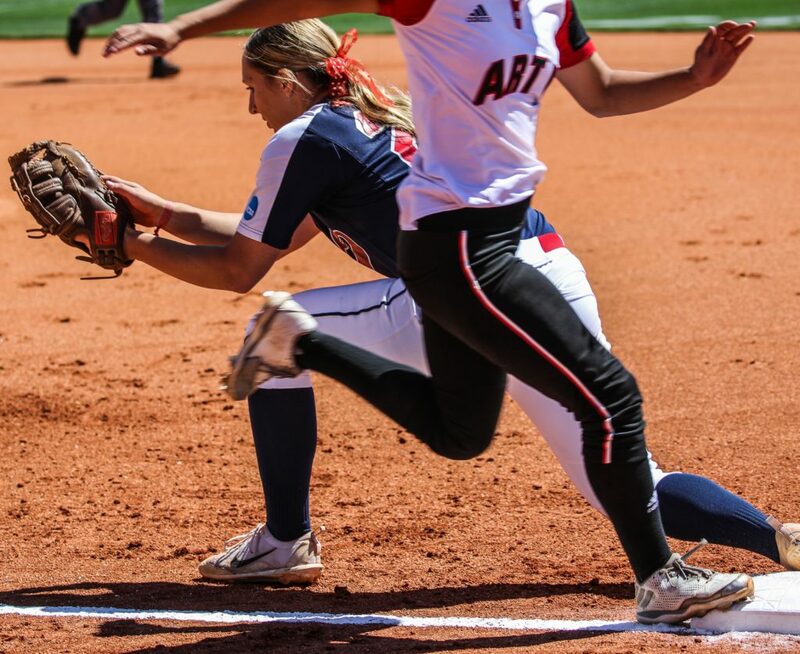 `Dixie State’s Riley Tyteca (44), Dixie State University vs. Academy Of Art University, Softball, St. George, Utah, Apr. 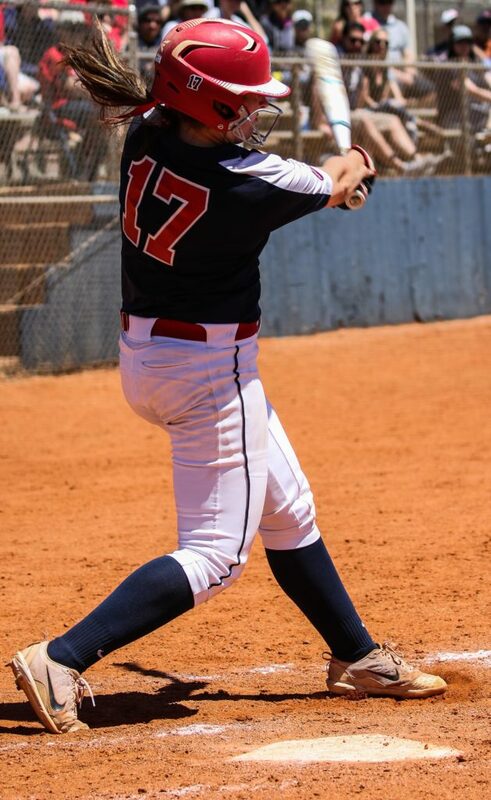 29, 2017, | Photo by Kevin Luthy, St. George NewsAcademy of Art scored two runs in the top of the fifth to force Dixie State to bat the bottom half. After two outs, Katelyn Delange singled to left center, then stole second. Yung then walked to put runners at first and second. Taylor Godfrey singled up the middle scoring Delange and ending the game. Honey, who went 3 for 5 at the plate and collected four RBIs in the two games, likes how the team has played down the stretch. The top two teams in the West Region will host subregionals. 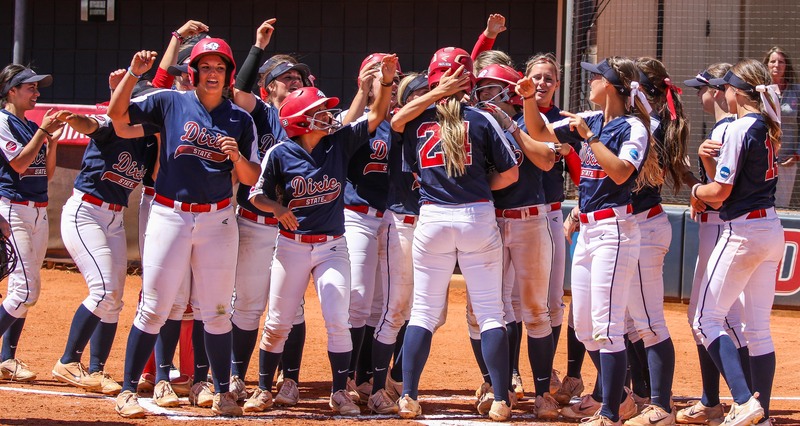 The last ranking had Dixie State at No. 2 in the West. Since that ranking, Dixie State is the only team in the top 10 to not lose a game. The NCAA will select and seed teams for the regionals on Sunday, May 7.